Lately, it seems that many people are asking me how I feel about going home soon. I’ve been thinking a lot about how to answer that question and reflecting on this past year. When I first started preparing for this year, I was preparing myself for something new and challenging and that would take me out of my comfort zone. I was definitely challenged and grew as I was put outside of my comfort zone, but this year turned out a lot differently than I had expected. Just the other day, I was struck with the realization that this year has been very normal. What I mean, is that I thought my life would change in big ways and I would have new things to face that I hadn’t seen before, but I’ve realized that although things have turned inside out and upside down, all the problems and hardships that we face are just life. If I were at home, if I were in a different country, or being here; life is normal. What is a missionary? What does it mean to serve others and follow God’s plan? I think it means that wherever you are, whatever you are experiencing, whichever path you’re on, to show Christ’s character. From something big, to something as small as a smile. Choosing to shine a light in this dark world, giving up our time to help someone else rather than serve ourselves. That is what it means to be a missionary. 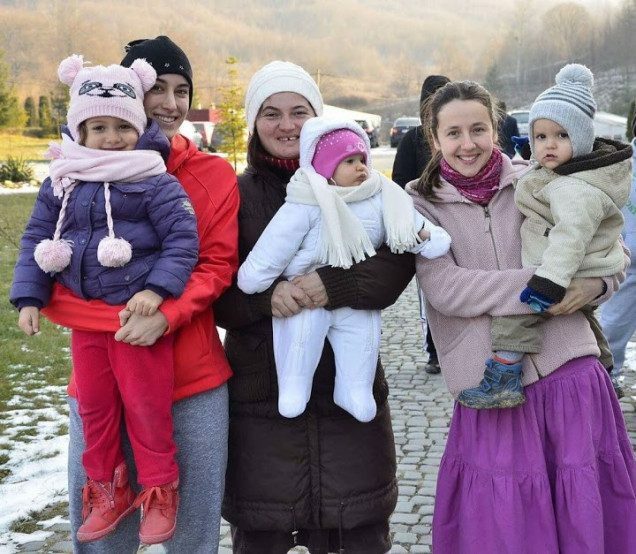 Ana – left – pictured with friends in Romania. Ana Copaceanu is serving as a volunteer English teacher in Romania. She is a student missionary from Southern Adventist University. This was re-posted from her blog with permission.